Abundance can come in many forms. Money is only one. Your life may already be more abundant than you realize. 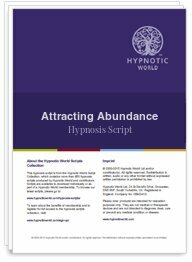 Not only can you increase your abundance, but you can become more aware of the abundance already in your life with hypnosis script download from Hypnotic World.